Health Meter 2595KL in Digital Medical Chair Scale. Prepare to discover the most advanced medical scales made today. Health meter is at the forefront of innovation creating more new medical products than ever before. Healthometer is reclaiming its place as the leader in the medical scale industry by investing in new technologies and expanding its product offerings. Healthometer offers level of quality that's truly unmatched. While doctors have trusted the Healthometer name and reliability for nearly century,their patients have also come to recognize the promise of quality and precision that Healthometer scale represents. 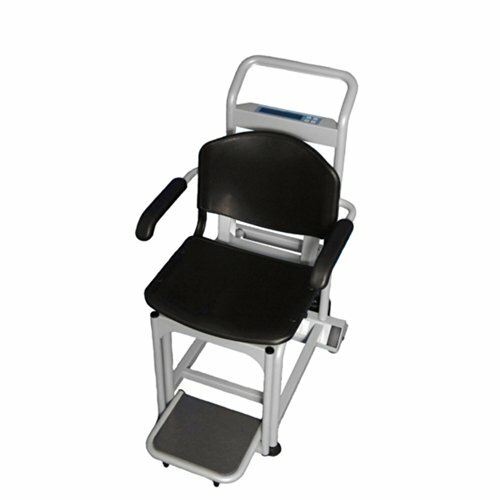 Our physician office scales are the most dependable in the industry. That's why more than 50% of all physician scales used in the United States bear the Health meter name. Choose from balance beam,digital,waist-high and remote display models. All provide maximum precision day-after-day. Precision scales are an integral part of health clubs,athletic departments and healthcare facilities. Health meter provides the accuracy,durability and stability required by these high-traffic and often inclement environments. Product Dims: 23 5/8" x 20 3/4" x 40 1/2"